The SR2, 2 electrode sensor with conduit elbow and 20 foot cable. The SR2 is used for monitoring conductivity in a boiler blowdown line. The SR2 cannot be used after a sample cooler. The SR2, 2 electrode sensor with conduit elbow, 20 foot cable, and ¾” cross. The SR2 is used for monitoring conductivity in a boiler blowdown line. The SR2 cannot be used after a sample coole. The SR2N, 2 electrode sensor with 20 foot cable and conductivity node. The SR2N is used for monitoring conductivity in a boiler blowdown line. The SR2N cannot be used after a sample cooler. For model 2255 and 2855e only. The SR2HD, 2 electrode sensor with conduit elbow and 20 foot cable. The SR2HD is used for monitoring conductivity in a boiler blowdown line where a harsh or high amine environment exists. The SR2HD cannot be used after a sample cooler. The SR2NHD cannot be used after a sample cooler. The SR2P, 2 electrode sensor with conductivity preamp. 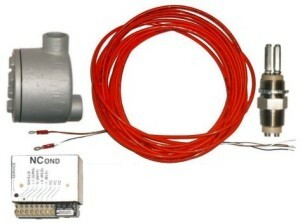 The SR2P is used for monitoring conductivity in a boiler blowdown line. The SR2P cannot be used after a sample cooler. 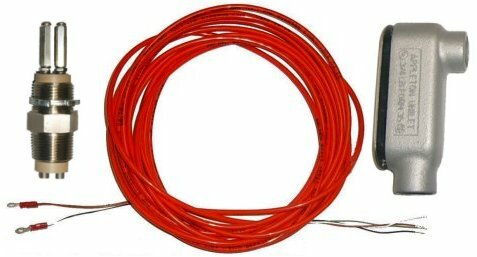 The SR4, 4 electrode sensor with 20 foot cable. The SR4 can be in the boiler blowdown line or with a sample cooler. The SR4 can only be used with the model 2250 AND 2250e. The SR4N, 4 electrode sensor with 20 foot cable and conductivity node. The SR4N can be in the boiler blowdown line or with a sample cooler. The SR4 can only be used with the model 2255 and 2855e. The SR4P, 4 electrode sensor with 20 foot cable and conductivity preamp. The SR4P is used for monitoring conductivity in a boiler blowdown line. 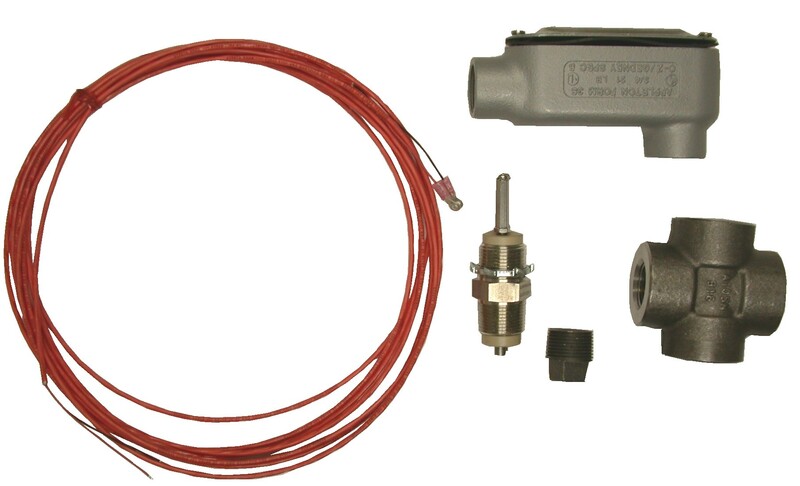 The 4 ELECTRODE BOILER SENSOR can be in the boiler blowdown line or with a sample cooler. The Boiler Sensor 4 Electrode can only be used with the 2250 and 2250e. 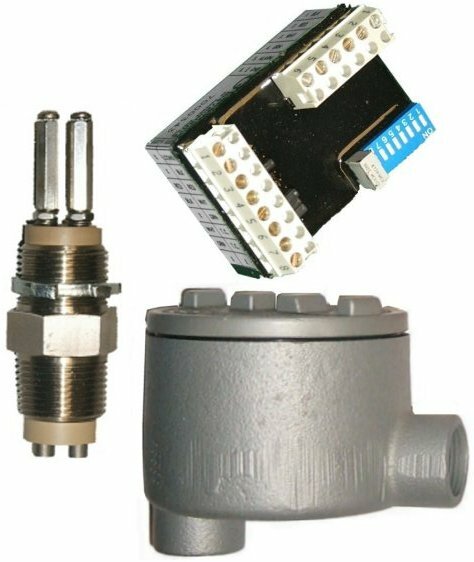 The 2-ELECTRODE BOILER SENSOR is used for monitoring conductivity in a boiler blowdown line. The 2-electrode boiler sensor cannot be used after a sample cooler. 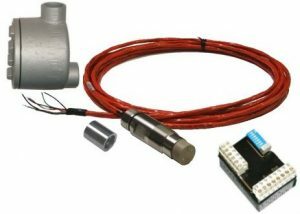 The 2-ELECTRODE HARSH DUTY BOILER SENSOR is used for monitoring conductivity in a boiler blowdown line where a harsh or high amine environment exists. The 2 electrode harsh duty boiler sensor cannot be used after a sample cooler.